Dr. Kishan Raj is a young and dynamic neurologist. Having done his DM Neurology from one of the premier institutes of India, AIIMS, he has become a confident and versatile Neurologist. He has experience in field of acute management of stroke and trauma patients. He has pecial interest in treating patients with chronic headaches and managing patients of acute stroke in form of intravenous thrombolysis in ischemic infarcts, managing other stroke emergencies like intracerebral hemorrhage and corticovenous thrombosis treating patients with Neuroimmunological disorders such as multiple sclerosis, neuromyelitis optica , and managing immunological emergencies like myasthenic crisis and AIDP. He is well versed with treating patients with various kind of Epilepsy and managing cases of status epilepticus in emergency and ICU, treating cases of Movement Disorder such as parkinson’s disease, cases with dystonia, facial spasms, choreiform movements and dyskinesias. Also interest in treating patients with degenerative diseases like Alzheimer’s disease, MSA, PSP, ALS and progressive forms of multiple sclerosis. 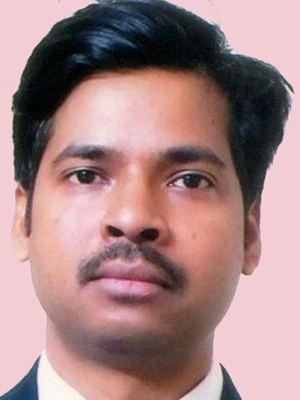 He has presented various papers which have been published in various reputed journals globally. Curently he is member of American Academy of Neurology, Delhi Neurological Association, Indian Stroke Association,and World Stroke Association.